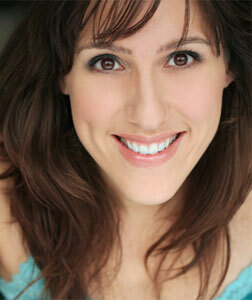 Farah Alvin (Pam) has appeared on Broadway in Nine, The Look of Love, Saturday Night Fever, Grease! and A Christmas Carol. Off-Broadway credits include The Marvelous Wonderettes (Drama Desk Nomination, cast album), I Love You Because (cast album), If You Give A Mouse A Cookie…, Kuni-Leml. Also in New York, Date of a Lifetime (NYMF Outstanding Actress Award), The Tenth Floor (Talkin’ Broadway Best Actress Citation) and multiple appearances at The Town Hall. Recent regional credits include the world premiere of Ricky Ian Gordon’s Sycamore Trees as Ginnie (Signature Theater, Helen Hayes Award), Funny Girl as Fanny (Gretna Theatre), [title of show] as Heidi (Theatreworks Silicon Valley), Pirates of Penzance as Mabel (Huntington Theatre), and Ragtime as Mother (White Plains PAC). Farah is also a singer/songwriter. Her debut album someday is available on cdbaby.com. 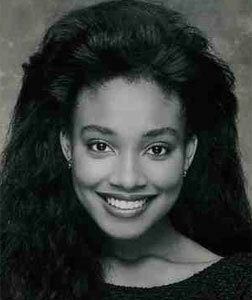 Natalie Venetia Belcon (Phyllis) is a graduate of Carnegie Mellon University. Immediately upon graduating, she appeared at The Westside Theatre in Kander and Ebb’s And The World Goes Round. She went on to the first national tour of Once On This Island as Erzulie, directed by Graciella Danielle, and from there landed in L.A. where she guest starred and had recurring roles in a plethora of television shows and films. She returned to the stage when she went to The Alliance Theatre to do her last dance show, Soul Possessed, which was conceived, directed and choreographed by Debbie Allen. From there, she returned to New York to continue working in theater, including The Bubbly Black Girl Sheds Her Chameleon Skin (Playwrights Horizons; original cast) by Kirsten Childs, and Jonathan Larson’s Rent. She originated the role of Gary Coleman in Off Broadway’s Avenue Q, which then transferred to Broadway. Favorite roles (besides Phyllis, of course) include Columbina in Ahrens’ and Flaherty’s The Glorious Ones at Lincoln Center (original cast), Undine in Lynn Nottage’s Fabulation, and Vy-Man in Play On recorded for PBS Great Performances and directed by Sheldon Epps. Natalie also originated the role of Tracy (the mother) in Radio City’s New Christmas Spectacular 2011. On television, she was seen on Disney Channel’s “Johnny and the Sprites,” starring John Tartaglia, as his best friend Gwen, and had a recurring role on “The Education Of Max Bickford” starring Richard Dreyfuss and Marcia Gay Harden. She’s been involved in quite a few readings and workshops and has done extensive voiceover work. Her involvement with The Last Smoker in America began in 2006, and she has enjoyed every second of originating the role of Phyllis. 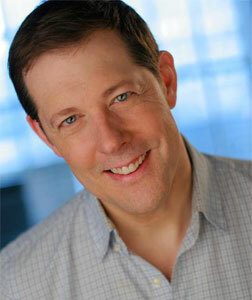 John Bolton (Ernie) has played the recurring role of Bruce Caplan on TV’s “Gossip Girl” for three seasons. This season, he also had guest-starring roles on “The Good Wife” and “Boardwalk Empire”. Other TV/film work include “Law and Order: Criminal Intent,” “Ed,” “All My Children,” “As the World Turns,” “Guiding Light,” “Heart and Soul”, and “The Savages.” He originated the role of The Old Man (Ralphie’s father) in the Broadway-bound A Christmas Story: The Musical. He last appeared on Broadway as Grady in Curtains, where he also stepped in as Frank Cioffi during David Hyde Pierce’s vacation. He was in the original Broadway companies of Spamalot, Contact, and Titanic, all three of which won the Tony for Best Musical, and he was featured in the revivals of Damn Yankees and How to Succeed…, where he also played the role of Finch during Matthew Broderick’s leave of absence. He recently performed at Lincoln Center with the NY Philharmonic in Anywhere I Wander: The Frank Loesser Songbook, starred as Harold Hill in Geva’s The Music Man, and co-starred with Eve Plumb in Surflight’s Same Time Next Year. Off-Broadway: The Bilbao Effect, Five Course Love, It’s Only Life. He previously played the role of Ernie in the CATCO production of The Last Smoker in America. 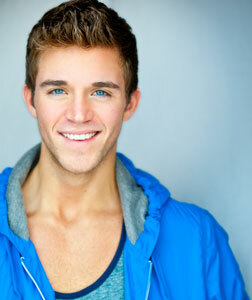 Jake Boyd (Jimmy) recently made his Off-Broadway debut in the musical revival of Carrie. Off-Off-Broadway: Honestly Abe. National Tour: Oklahoma! Readings/Workshops: Bare, Amazing Grace. Regional: Xanadu, Rent, Equus, Un Sueño de Una Noche de Verano, Fame, A Chorus Line, Fiddler on the Roof, The Wizard of Oz. Film: Face Value, No Compromise, Nepenthe, Surviving Your Freshman Year, Why College is Right For You. TV: “Are We There Yet?” (recurring), “Blue Bloods,” “Cast and Crew” (Pilot). Commercial: “SDGA Golf Academy,” “Real Candy.” Jake is a graduate of the University of Alabama.